Time to spill the beans! Top Secret no longer...We have a book coming out!! Yep! It is scheduled to hit shelves October 29th! But you can pre-order it now. This is really such an exciting time for us. Granted, lots of work, lots of brand new types of work...the learn-as-you-go type of work...there isn't any how-to guides...but basically we've been doing what we do best and we're loving every minute of it. Well, first let me tell you a little about the crazy timing of everything. We struck the deal, made the agreement, made the plans, wrote the deadlines on our calendar, and hashed out the schedule. And almost immediately after all that...Hurricane Sandy hits and turns our world upside down. But even when your world is upside down you still gotta keep the promises you made to your publisher. So you can imagine how much the stress was compounded. All through that time of storm related nightmares...the mountainous task of getting our home back into some sort of livable shape...and at the same time knowing that we've got to tackle one of the most important projects of our lifetime...amid all this mess?? Well, you can imagine the stress. We were so nervous...could we really pull this off?! One thing that's good...you could call it our ace in the hole I guess...is that Aaron and I are work horses. Admittedly...a pretty awesome team...we get stuff done! For a while after the storm we were working from Aaron's parent's dining room...matting up prints, making signs, packing up boxes...trying our best to get orders shipped while our home was a dark, wet, jumble of chaos. All the while knowing that we had to somehow fix everything enough...mainly, get our home studio in order...so that even if our home had to remain a wreck for a while...then we at least could have a little space to write the book in. And you guys all know that when I say "write" a book...that "writing" is about one one millionth of the job at hand. 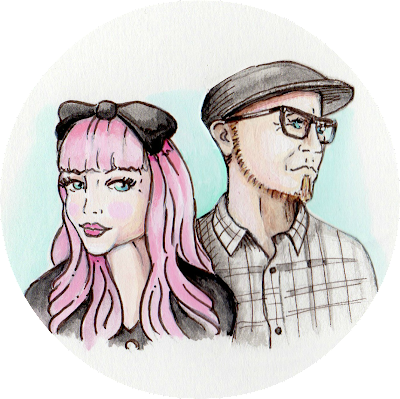 We're artists, making an art book...tons of projects...mixed media...documenting the step by step process of every single aspect of our creative process. Paint...paper...scissors...photography...waiting for clouds to pass so that we can get perfect natural lighting...do I need to go on?! So anyway, I'm not complaining...like I said...we love this and live for this. This is a dream come true. But I'm thinking that you can all understand why we didn't want to share the news just yet. In the beginning, keeping it private made it a bit less stressful. So let me share some behind the wizard's curtain talk for a moment. A week or two ago, we were clicking around on Amazon. And being mixed media, art journaling lovers, we were doing what we all do...browsing books, and shopping for books in those very categories. Well...you should have seen my face when I scrolled down to see OUR book! I did a double take and then yelled for Aaron to "Get In Here!!" Ha! We had no idea that our book would be out there in the world already! There is still work yet to be done!! Seeing it there on Amazon, and Barnes and Noble, and Powell's, was totally surreal! Of course we wanted to share it with you guys and our friends on facebook...but we knew it wasn't time yet. See, in the publishing world things move reeeeally fast! So the book description on those sites has some info from an earlier version of our table of contents. Since then some things have changed, and knowing that the description wasn't perfectly accurate yet we didn't want to spread the word. Didn't want anyone pre-ordering on the basis of a project description that isn't actually in the book...ya know? And of course that's me...soooo Jenny...I always find something to panic about. So we told our publisher about our surprise in seeing the book already out there in the world...and the early version of contents...and they assured us not to worry...this is common practice...and things will tighten up as the release date grows nearer. Phew! We are just beeeeyond excited about this book! It really is a labor of love! We put together some really really fun projects. 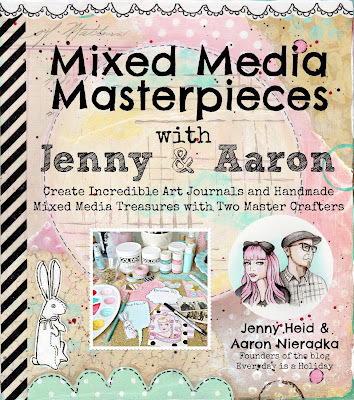 We kinda discovered halfway through the process that in the Art Journaling portion of the book we really are that middle ground between scrapbooking and full on get mega messy Mixed Media. First and foremost we are designers. We sell our art...we sell kits...we design for stationery companies, etc... So everything we do we see through to the end...until it's a final beautiful product. BUT...we also looove the process. Adding layers and experimenting with mediums and methods. So I really think that there are projects for everyone. We would love to know that we gave some scrappers out there the courage to get messy! To try some sprays, and paints, and gesso, and gelatos! you know? And then for the folks that already get paint covered, we hope that they enjoy the style of things. Taking their artwork to the next level and really making it beautiful. And that's just a small fraction of the content. 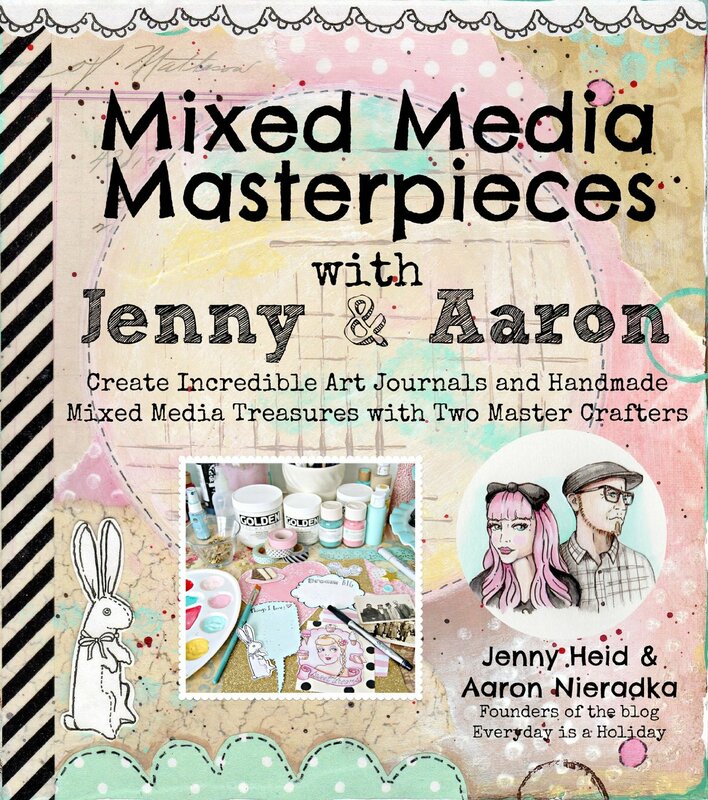 There are all sorts of projects in this book...I can't spill all the beans...but the fantasy faux cake that we made is amaaaaazing! Oh, and in case you were wondering why we picked today to finally burst our secret bubble...a sweet gal over on facebook left a comment on my page mentioning how she pre-orderd our book today! AHH!!! I just about died! So yep! The beans were kinda spilled for us...I guess everything happens for a reason! We'll be sharing lots of sneak peeks as the shelf date grows closer! And now you know why we've been so so busy! 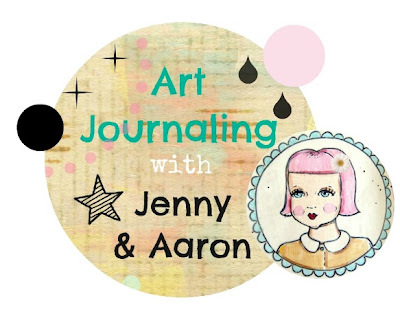 As soon as things are back to the normal level of busy...the controlled chaos that we're used to...we'll be returning to lots and lots of Art Journaling here on the blog! 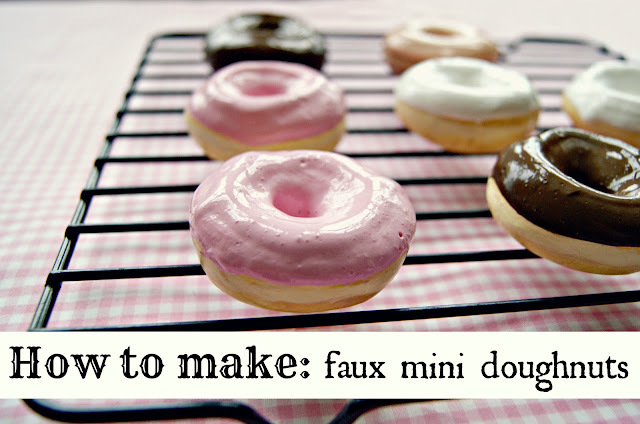 Lots of tutorials and projects! Plenty of new Home Decor projects...and straight up partying!! Thanks for sharing in our crazy trip! congrats again !! cant wait to see it! So happy for you Congratulations...xoxo!! SMILING FROM EAR TO EAR while I type. So happy for you two. Congratulations! 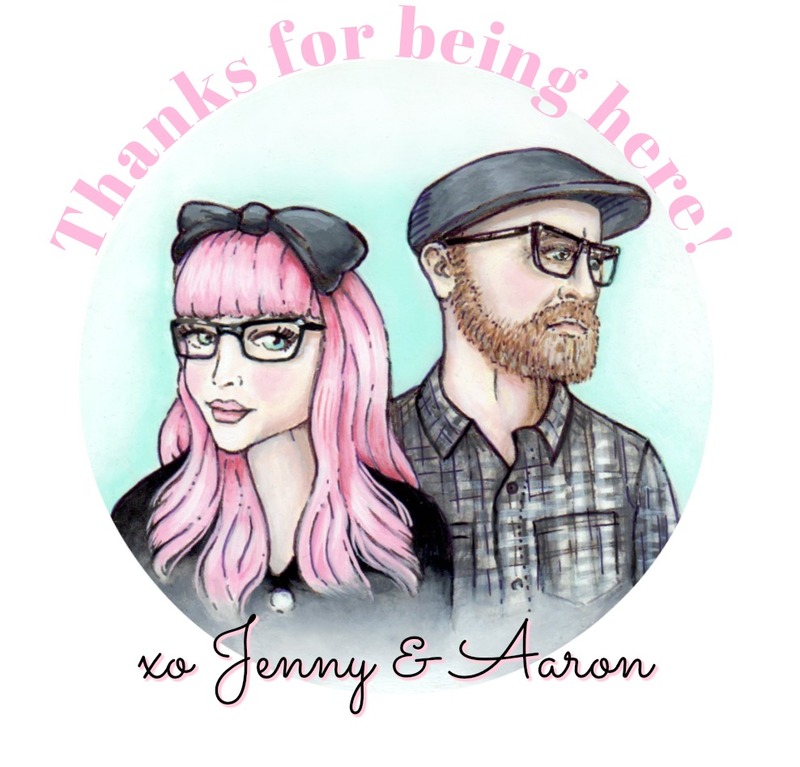 Congratulations Jenny and Aaron!! You have me at the cover! 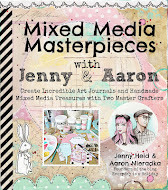 I can't wait to get my hands on a copy.....We need to get some for Paper Tales!! Congratulations! Such exciting news for you guys! I hope your book is a HUGE success! Can't wait to see it in print. Oh my gosh!!! cant wait to get it! I can't wait to get it either. Congratulations! I saw that comment on fb and thought there was some book that I just didn't know about! Congratulations, I will definitely buy one....or two, or three!!!! Eeeee! I'm so excited for you guys! This is wonderful news. Can't wait to seeeeee! Life is one continuous pattern of growth and here is another ring on your tree! Kudos! Can't wait. Added it to my amazon wishlist! How cool! It must have been great to scroll down Amazon and see your name!! That's totally a dream of mine! Congrats and can't wait to read. I'm seriously beyond excited for you guys! Congratulations! I just pre-ordered. (I've never pre-ordered a book in my life!) I can't wait until it comes out. The next best thing to taking a class with you guys is going to be learning from your book. Oh wow! Exciting! Congratulations on the book! SO SO excited for you guys! This is amazing! Can't wait to get the book. How wonderful. I can't wait to see it. Congrats! You guys are so freakin' talented and sooooo deserving! How wonderful.....you are so deserving and we are so lucky!! I'm sure it's a work of art! Congratulations, guys! I bet it's going to be an awesome book!! Right after I made my book deal, I found out I was pregnant. Then I found out we were moving across the country. My book deadline was about two weeks before the baby was due and one month after we had moved! Nothing compared to Hurricane Sandy, but boy, it was a crazy few months!! Congrats to you both! So exciting and well deserved. I wish you much success with it. I'm looking forward to adding it to my collection. This is soooooo cool, I can't wait to own it!! Congrats to you two! How so VERY exciting!!! And so VERY much work yet to do!!! I'm proud of you and Aaron, you guys have burned the candle (on top of a pretty cake, no less) for years and years, and I was there from the beginning, right? I'll get a mention in your book, right? Like, "we want to thank our family, our pups, and, well Heidi!" LOL (Just kidding!) Hugs & congrats! Congratulations you two! I'm so excited to read it. I'm so amazed that you still did all that work amidst the disaster. You guys are my heros! Also, I could not love the art of you two more. thats amazing you two!!! Congratulations - cant wait to get a copy to be inspired and to create!